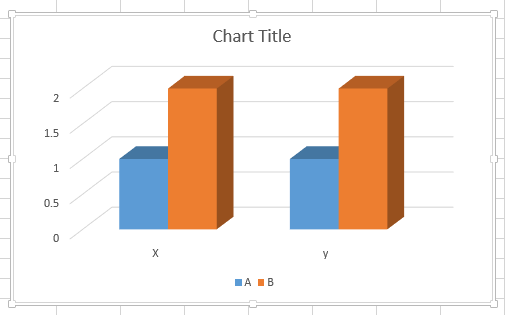 When the Chart values vary widely from data series to data series, or when you have mixed types of data (for example, units and volume), you can plot one or more data series on a secondary vertical (value) axis.... Graph both sets of data, and add a secondary vertical axis, and it will auto scale. You can fix the scale to (primary_max-32)*5/9ths to be sure (if primary is degrees F). 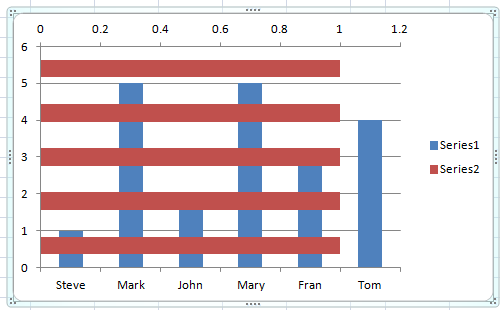 If you do that the data will overlap unless you add the secondary axis. Here's what I've done in an effort to add a secondary vertical axis to a chart. 1. I've selected the chart to assure the Chart Ribbons appear. 2.